Today I have a fun project to share with you all! I've been wanting to create something with the camera file for a while and this shadow box from Fleurette Bloom's I'm Wishing Kit inspired me to create something with it! How cute is this!?! Doesn't it make you want to smile!?! I think this would make great little gift for the young photographer in your life! These fun papers I used come from Studio Calico's Printshop Collection. 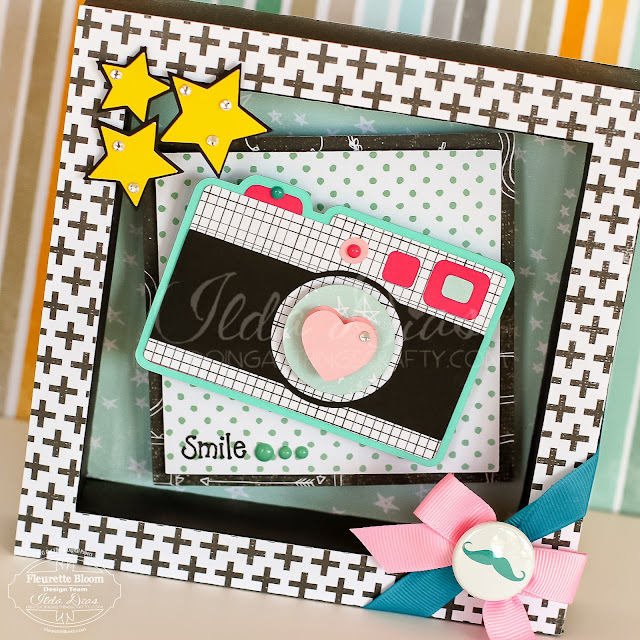 The Smile stamp is from Craftin' Desert Divas, Simply Said Set. To recreate a shadow box like this you will need these awesome Fleurette Bloom kits/collections!